One good and handy tool for campers and even off roaders should have is a portable compressor. These handy compressors have numerous uses besides inflating flat tires since they can also inflate other inflatable recreational toys as well as air mattresses. As I recall during one of our camping trips, me and best friend along with his family had an overnight camping. They brought all the necessary things needed except for a portable air compressor; instead they bought a manual foot air pump which was intended to inflate the air mattresses. Since it took them so long to get one mattress inflated, it took them about midnight to inflate the 3rd mattress and swore that they would give anything to have the portable 12V compressor. It is one of the most needed accessories for a compressor. If you don’t have an extension cord, this retractable air hose is a definite must and is most recommended than the reel type because of its portability and convenience. 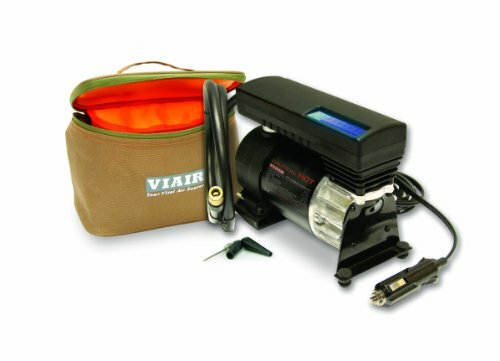 Accessory kits are your all in one kit for all your air compressor accessories needs. It is available from 9 pieces kit set to a 25 pieces accessories set. The set contains safety nozzles, tapered inflation nozzle, male & female couplings, plugs, air locks, and different sized nozzles. This is especially handy because you will never know when you will need it in emergency. The most important accessory and most useful to bring to camp. This handy air tanks store compressed air which can be used outright even without electricity to power your air compressor most especially when outdoors. This air compressor accessory can be used to re-inflate flat tires, inflating recreational balls like basketballs or volleyballs, and can inflate air mattresses. So the next time you go camping outdoors be sure to bring a 12 V compressor and its accompanying accessories so that you won’t suffer the same fate as my buddy does.